From the makers of our Meditation Cushions; a meditation/sitting how-to. Just like there’s no one “right” way to meditate, there’s certainly no one “right” way to sit or lay or be or anything during meditation. Making space for meditation in your day is more important than if you can fold your legs like a pretzel into half lotus or if you can even get yourself on to or up from the floor today! Illustrations created for us by the talented Katie Kelly. For all seated postures, sit on the edge of your cushion. Make sure your hips are elevated above the knees and allow the pelvis to tilt forward to allow for a natural curve of the spine. Tilt your chin slightly downward, allowing the spine to stay long and preventing your neck from getting too tired. 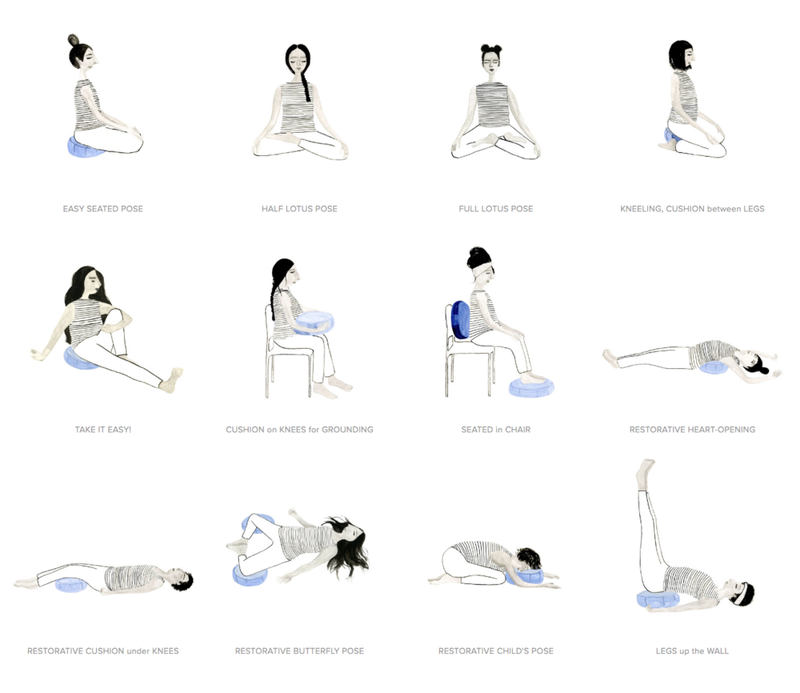 Click on the illustrations on Ethel Studio’s website for more info on each posture.